“I start work right away in the morning. I love the challenge of being an Entrepreneur. I have freedom & resources of doing what-ever I want to do when I want to do it.” Lori Greiner, most successful Shark with 6 of 9 top Products. Finding Funding Topics: Who are the Sharks? Social Responsibility, What’s changed in 10 years? Top 20 products. Learn fm 200 Shark Tanks & get Ideas fm their Top 20 Products !!! Finding Funding thru Shark Tank, “ABC’s Reality series that invites budding entrepreneurs to pitch products to investor “Sharks,” celebrates its 10th season & 200th episode – with Sunday’s season premiere (10 EDT/PDT; moves to 9 on Oct. 14). Would you believe Shark Tank has featured > 1000 Entrepreneurs and brokered deals totaling $125 million in Investors’ cash. Kevin O’Leary (Irish Canadian businessman, Author & co-founder O’Leary Funds & SoftKey. Lori Greiner (American prolific Inventor, (600 products) Angel Investor, Product development & marketing + Queen of QVC). 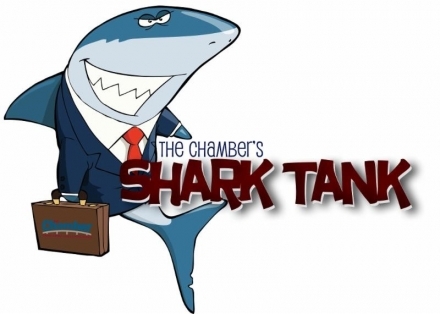 Why does Shark Tank work? It seeks a wide variety of products and favors those with a unique twist. Producers look for products at different points in their life cycles, from the awakening of an idea to demonstrated sales. But “a huge element” is the entrepreneur: “Do they have passion? The person who has that fight and a great back-story,” often including setbacks and failure, is key. Social Responsibility. Mark Cuban, whose top-selling product is a stand-up Paddle board, says newer investors recognize the value of technology and the changing retail climate. “Many of our great companies also have a social component that allows consumers to be proud to do business with them,” he says of the Sharks via Email. The top 20 Products in the history of “Shark Tank,” including the air date of the episode on which they first appeared, the Shark’s initial investment, % ownership stake in the company, and retail sales figures supplied by the Sharks. Comments: What have you liked & dis-liked about Shark Tank? For more Info, click on Finding Funding. See complete article on USA Today – Shark Tank.